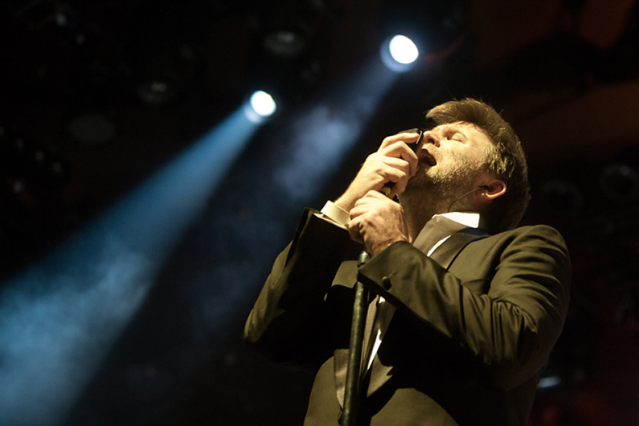 On the one-year anniversary of LCD Soundsystem’s final show at New York’s Madison Square Garden, James Murphy’s band is back in the news again. Shut Up and Play the Hits, the film documenting the band’s final days, will get continent-wide distribution this summer via a series of “special one-night-only engagements” thanks to Beastie Boy Adam Yauch, whose four-year-old film production and distribution company Oscilloscope Laboratories will be handling the release. For reference, Oscilloscope is the company responsible for the recently unsettling Tilda Swinton/Ezra Miller flick We Need to Talk About Kevin. On the other hand, the filmmakers for Shut Up and Play the Hits, which debuted at Sundance earlier this year, did an awesome interview recently about their unlikely experience. If you haven’t seen the trailer yet, you can watch it here; we also recommend reading our magazine editor-in-chief Steve Kandell’s review of the show here. Updates on the movie’s status can be found on its website and Twitter.